Our practitioners come from a personal journey where we experienced healing and paradigm shifts from energy healing modalities, and have since learnt and practiced so that we may be able to help and support ourselves, our loved ones and you and your loved ones in our life journey. There are no coincidences in life. I came to the Yuen Method as a result of many long years of searching and trying out other modalities to deal with health issues for a loved family member. From the first time I tried Yuen Method, I got results. I was able to make concrete and fast improvements where previously there were little gains, and years of frustration and disappointments melted away overnight. My personal experience has taught me that everyone can improve their lives easily and effortlessly. It is simply feeling for the weakness, and strengthening that which needs to be strengthened to result in a fundamental shift. 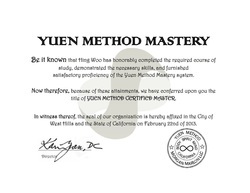 Getting results for myself and others lead me to be certified as a Yuen Method Certified Master. I continue to gain new insights and under the tutelage of Grand Master of Kung-Fu and founder of the Yuen Method, Dr Kam Yuen as one of his designated Yuen Method Mastery Instructors. Yuen Method can be applied to any weakness and bring about improvements. But ultimately my goal is not to show you what I can do for you. But to show you what you can do for yourself and for your loved ones. I continue to learn with other teachers from other traditions and incorporate these learnings to have a well grounded and multi dimensional practice. Improving everyone everyday is a goal that we can all aspire to. And then we can all be STRONG ALWAYS. Since learning the Yuen Method in 2012, I have been applying it to my family, and friends with great results. 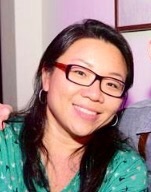 I am glad that Yuen Method has empowered me in ways that I could not imagine possible before. Developing my intuition and insight through my Yuen Method practice has given me access to many other energy modalities, including crystal healing, angel and ascended masters channelling, rewriting akashic record, and oracle card / tarot card readings to name a few. Ling completed Level 1 and 2 of Yuen Method over 2012 and 2013 and has experienced great positive shifts from applying these simple energetic tools in her life. Coming from a teaching background Ling has found the structured learning in Yuen Method to be easily comprehensible and applied to everyday life. She is very talented and has a greatly accelerated practice, being effective in removing blockages and resolving tangled relationships immediately.